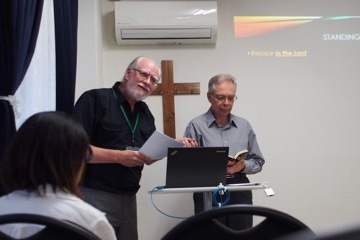 Starting in October, we began to offer Japanese interpretation of English sermons at Tokyo Multicultural Church on the 2nd and 4th Sundays of the month. Duane, our ReachGlobal church planting colleague, is an excellent interpreter! This brings us a step closer to launching TMC’s Japanese language worship service.